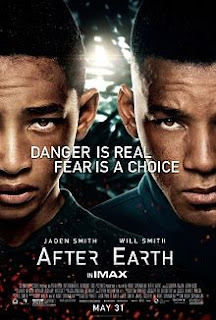 I haven’t watched the movie After Earth yet. Nine of my friends watched the movie and few asked me suggestion and I gave them it as a choice over “Kutti Puli”. Four of them told it was bad, two said it is worse and two said okay can’t say it as worst and all the eight advised me not to talk or try to contact with the ninth one. If he finds me not even god can save me, he is in that much rage after watching the movie. Now I am in dilemma to watch it in theatre(not exactly dilemma even with free tickets should I watch it or not). The legacy of Night started at Sixth sense and it was a good movie at least according to me. I liked the movie and even his next venture “unbreakable”. Both movies had a different approach towards the subject. Unbreakable was a superhero movie but it was realistic or not much with special effects. Then came Signs, Village both were good and now he has the reputation of twist at the end, it has became Shyamalan template. He differed it in many occasions still one can see the Shyamalan twist in all his movies. Shyamalan might have thought that he has settled in his comfort zone after a bitter experience called “Lady in the water”. I still firmly believe that shyamalan can’t give movie like Lady in the water once again, it’s a once in a life term gem. He also comes in a cameo in all of his movies or at least a voice cameo. After the bitter experience came Wahlberg starring Happening. Once the critic’s darling, the person who was called as Next Spielberg (even Hollywood has Next sooper staar probs it seems) is now critic’s worst favorite. All critics shared the same enthusiasm in slamming his movies and they were worth slamming from my experience at least. After lady in the water all his movies gave the producers their money double or triple. His later movies including the low budget “Devil” collected more than expected. They were not considered massive hit but it collected a huge sum of amount on considering the budget of the movie. Here lies my biggest doubt, a movie will become a box office hit if it is a good movie or if it is liked by the audience. Twilight saga and Transformers franchise are good example for the latter, but whomsoever I ask about Shyamalan’s movies the reaction is they hated it. None of them told a positive review but the film manages to collect the amount invested along with a considerable amount of profit. His movies after lady in the water managed to make profit despite bad reviews both from the viewers and critics. If both hated the movie where is the profit coming from, or still people having some hope on Shyamalan? Whatever the case Shyamalan removed his name as only critic’s darling and make some magic is box office too, but when he is going to make a good movie. He may think of exploring new genre and so on, its his wish and for After Earth he was a hired director but it seems the magic worked, even after panned by critics, panned by movie reviewers, panned by common man the movie collected 60% or above within a short period of the release. Although I firmly believe that this time he is the strong contender for Razzie without much competition (Last time he had Twilight, even then he managed to get four awards) he is making the movie work. Still it’s a mystery may be at the end of his career or someday we may find a twist in his victory, a typical Shyamalan twist. P.S: Call me a sadist, I liked happening somehow (not loved it to the core type, but not worth panning) and image source is searched from google. P.P.S: The movie tag line is not only for movie but also for the director it fits to the T.